It is no secret that many of my blogger friends have a passion for pillows, and I do too. Changing pillows is probably one of the fastest and easiest ways to change the look of a chair, a sofa, or a bed. 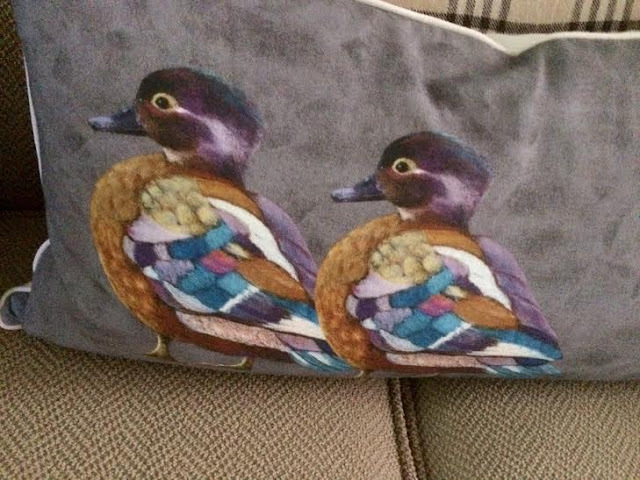 I recently spotted this Yves Delorme duck pillow at Piranesi Antiques on Magazine Street. Sadly, they are closing shop after ten years or so. 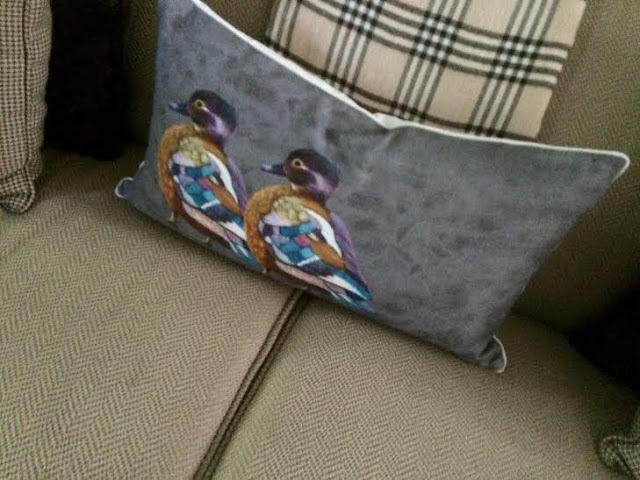 I love the colors of the pillow--- aubergines, grays, turquoise. I added it to the parlor sofa, but I'm certain it will change locations soon. 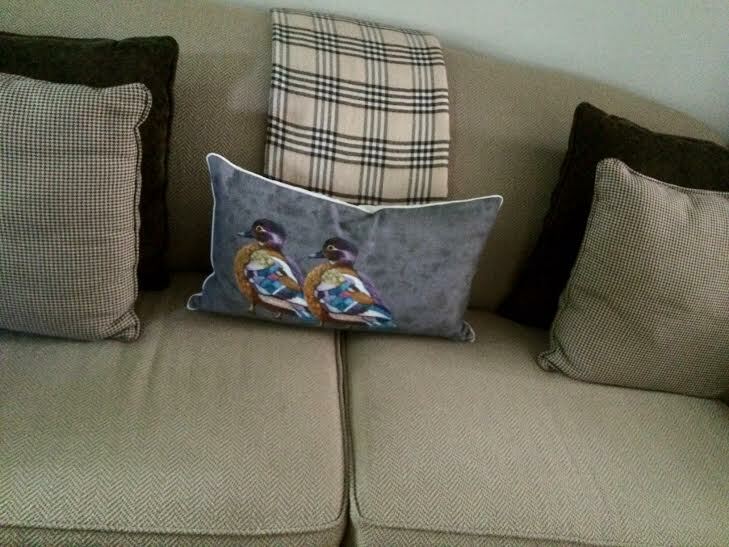 What a cute pillow Ron. Too bad the shop you got it from is closing. It saddens me to see those kinds of stores leave. I do like the colors. Yves Delorme is great quality merch. Bunny MacDougal and I approve! Love that pillow!